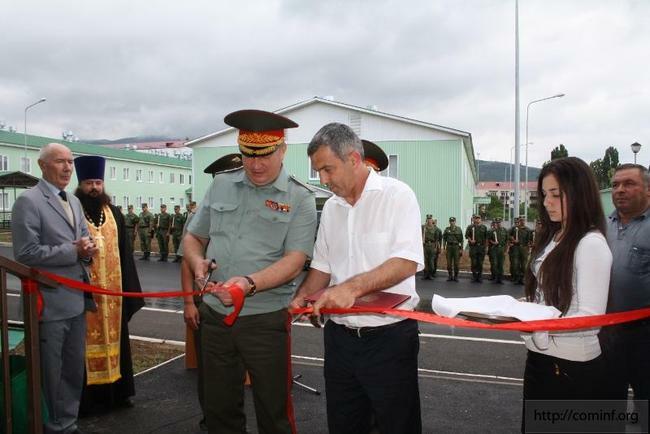 In the arrangement of the 4th Russian military base in Tskhinvali (South Ossetia) today, July 2, put into operation a new barracks complex for 1150 seats. "Today we take the builders landscaped complex of barracks for 1150 comfortable seats in the soldiers' dormitories, a new school building, which will allow us to increase our practical and theoretical skills. 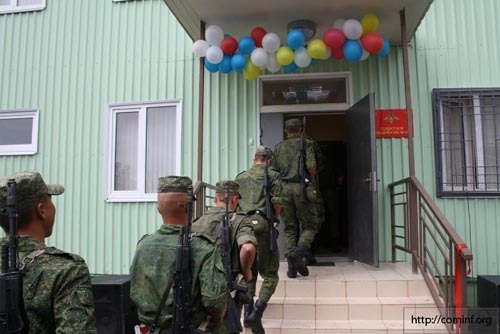 Today, we also accept tabletop building that will house the headquarters of battalions and divisions of the base," — said the commander of the 58th Army, referring to the new barracks built before the personnel base. Gurulyov noted that the expansion and improvement of the base continues, now the builders are busy erecting a leisure center, a school and a kindergarten for the children of military personnel, the park area. "This suggests that the state takes care of our military personnel, security of both Russia and the friendly state — the Republic of South Ossetia", — said Gurulyov. Congratulated the troops and the Russian ambassador Elbrus Kargiev. He recalled that today Russia is represented in South Ossetia three major military and political structures — Embassy of Russia, 4th Guards military base and Border FSB. "I am pleased to report to you that they are all superbly equipped, our troops and diplomats have the opportunity to serve, to live here with their families in quite comfortable conditions," — said the diplomat. Before these Russian structures, he continued, the task of being the guarantor of peace, tranquility and security in the South Caucasus. "And we have this problem — political, military, or by any other means — will perform adequately," — said Kargiev.